“Nature’s Institute of Higher Learning.” Truly, no other classroom or university can display the primordial power of the 1980 eruption, its ensuing destruction, or the enormity of regeneration two decades later. 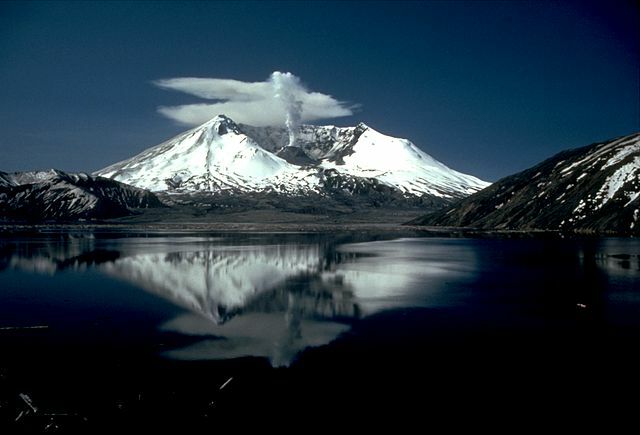 The incredible events leading to and following the eruption are recounted at world-class interpretive centers at Silver Lake, Hoffstadt Bluffs, Forest Learning Center, Coldwater Ridge and Johnston Ridge. Other major attractions include an aerial tour by helicopter or Cessna airplane, guided motorcoach tour, road trip through the blast zone, self-guided discovery drive loop tour, giant screen film show of the eruption, a hike to the crater, and overnight in the blast zone. Surrounding area attractions include national forests, wilderness areas, fish hatcheries, Lewis River waterfalls, Native American living history programs, Hulda Klager Lilac Gardens, Cedar Creek Grist Mill, Columbia River and Lake Sacajawea.